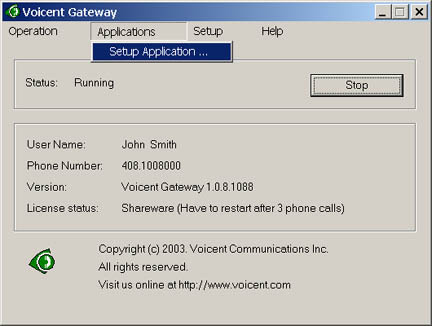 VoiceXML Gateway VOIP PSTN TAPI development API for interactive telephony application. High level development platform based on W3C VoiceXML. Supports text-to-speech, voice recognition, DTMF tones for both inbound, outbound apps. Works with VOIP through Skype, voice modem. API , SDK, tutorial, sample code available online. Free program download. eveloper can integrate Voicent Gateway easily with http web interface, command line API.